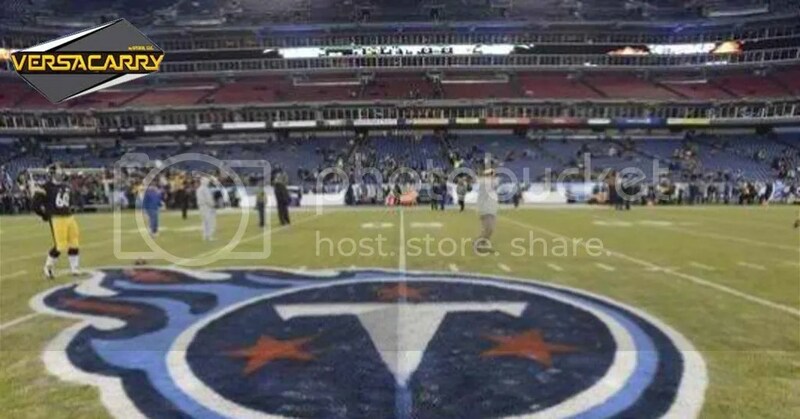 (NASHVILLE) A recent opinion issued by the Tennessee attorney general “opens the door” to concealed carry permit holders potentially being allowed to take their weapons into the facilities where the Tennessee Titans and Nashville Predators play, says a former attorney for ex-Gov. Phil Bredesen. Those with valid carry permits could take their guns to Nissan Stadium and Bridgestone Arena because both are owned by Metro Nashville, even though they’re operated by private companies, said Junaid Odubeko. Odubeko, who worked as deputy legal counsel and legal counsel to Bredesen from 2007 until late 2010, said the law and any policies banning guns at the facilities seem to contradict one another. “If they had a policy saying that you could not have a handgun inside Nissan Stadium, I think there certainly appears to be a conflict there between that hypothetical policy and how the AG interprets the law,” said Odubeko, who now does legal consulting for Tennessee Senate Democrats. Weapons are banned at all National Football League games by the NFL. The 2013 league policy allows on-duty police officers and security to carry weapons, according to Yahoo News. Bridgestone Arena and the Predators don’t allow fans to bring in weapons either. Both venues also frequently play host to concerts and other events; guns also are banned during these events. Jeff Cogen, CEO of the Predators, said Monday he was not familiar with the opinion from the Tennessee attorney general. He declined further comment. “We do abide by the NFL’s policy prohibiting weapons. Additionally, the terms of our lease permit us to impose and enforce such rules and regulations governing the use of the facility, and the no-weapons policy is included in that, with the exception of uniformed law enforcement personnel,” said Jimmy Stanton, vice president of communications for the Titans. In his opinion, Attorney General Herbert Slatery says the new law prevents municipalities from passing on the right to ban guns to other entities, because the municipality no longer has the right to ban guns. A city or county can’t pass on a right it doesn’t have, Slatery argues. This year Tennessee lawmakers passed a bill that allows anyone with a valid concealed carry permit to take their weapon to a public park, even if the local government had a law banning guns at parks. They must leave if they are in the vicinity of a school-sanctioned sporting event, but the conversation about the law never focused on weapons at municipally owned stadiums. “My understanding is that law was made for a park or other similar venue like a park,” said House Majority Whip Jeremy Durham, R-Franklin. However, Slatery went beyond public parks in his interpretation of the law, as outlined in an opinion released last week. “By its plain terms, as amended, (the law) applies to all parks and all other recreational facilities that are owned or operated by a county or municipality. County or municipal ownership is all that is needed to bring the property within the scope of the statute,” Slatery wrote in the opinion. In a statement, Slatery spokesman Harlow Sumerford said the opinion addresses only questions asked by Senate Minority Leader Lee Harris, D-Memphis. Sumerford said the opinion “speaks for itself” and declined further comment. The scope of the law applies to any “facility, area or property owned, used or operated by any municipal county or state government, or instrumentality thereof, for recreational purposes,” as noted in Slatery’s opinion. The phrase “recreational purposes” is defined in state code, but it’s a broad definition that isn’t in the same part of the law as the new gun measure. The new law probably applies to the homes of the Titans and the Predators, said Nashville attorney Keith Dennen. “There is no question that football and hockey are recreational activities. Therefore, under the AG’s opinion, guns are permitted in Nissan Field and in Bridgestone Arena by persons who have a ‘carry’ permit because those facilities are ‘owned’ by governmental entities,” Dennen said. Slatery’s opinion also probably would apply to places such as Ascend Amphitheater, the new Nashville concert venue owned by Metro but operated by Live Nation. However, guns were still banned at the venue’s recent concerts, despite the opinion. Metro Law Director Saul Solomon said he doesn’t believe the opinion means guns are allowed at Ascend, Nissan Stadium or Bridgestone Arena. He doesn’t think attending a concert is considered a “recreational purpose” in regards to the law, and doesn’t think the football stadium or hockey arena come under the purview of this law at all. “In terms of the arena and in terms of the stadium, it’s clearly not park property. It’s not really a guns-in-parks issue,” Solomon said. Gov. Bill Haslam told reporters Monday he believes lawmakers should revisit the measure during the upcoming legislative session. “When I wrote both speakers the letter when I signed the bill, I said because this is changing things it merits some close observation to see are there some situations that we should go back in and address,” Haslam told The Associated Press. The Tennessee Firearms Association agrees with Slatery’s reading of the law. But in a statement posted to the organization’s website, it says “the opinion, read in isolation, creates potential and unnecessary confusion” about where valid permit holders are allowed to take their weapons.